It is no secret that seasonal weather is getting more unpredictable year after year. Part of this effect is commonly attributed to global warming and consequent shifts in weather patterns. As summer gets hotter year by year, this can mean more wear and tear on your air conditioner than the manufacturer originally anticipated (this is especially true if you are using an older HVAC unit). 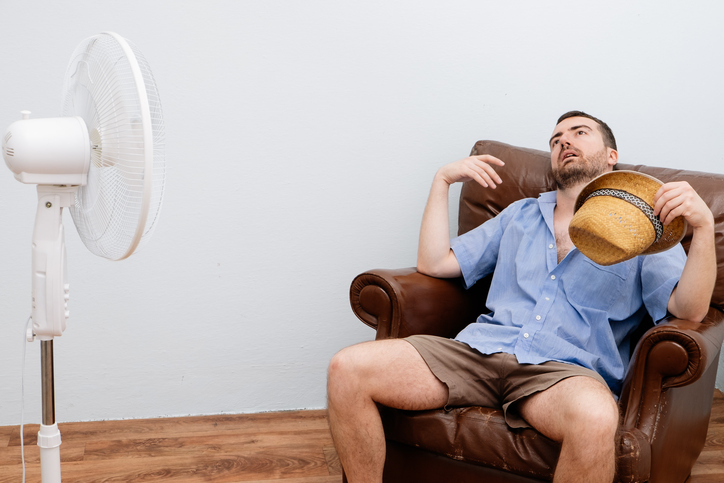 In this article, we highlight timely tips to avoid that one midsummer nightmare each of us hopes to never experience—an air conditioner outage. In extreme heat as well as in extreme temperature swings, the importance of insulation simply cannot be emphasized enough. In other words, your A/C unit on its own can accomplish only so much to keep your space cool. But with the addition of appropriate and sufficient insulation, it can work cooling miracles. You can insulate the attic and crawlspaces to keep the hot air out and the cool air in. Adding extra insulation inside your walls can reduce the impact of direct hot sunlight on your house. You can also insulate your windows with heat-reducing window film, which can be a cheaper way to retrofit windows without having to do a full transition to low-E windowpanes. And you can insulate your home in general by repairing any leaks or cracks around windows and doors, replacing worn weatherstripping, insulating your air ducts, and adding awnings or draperies to block out the heat of the day. We now know this is not the case; in fact, it can be detrimental to your efforts to keep your home cool on a constant basis. It’s like putting a high-performance sports car engine inside the body of an economy sedan: you are more likely to burn out the engine than to enjoy a faster ride. However, if your A/C unit is not powerful enough to keep your space cool, there is a benefit to upsizing. But having to upsize just to stay cool can be a real bummer if your present air conditioner is still in good working condition! Here, we often recommend a two-phase approach: 1) do what you can in terms of insulation and 2) consider adding ductless air conditioners in rooms that are consistently underserved by your existing central A/C unit. Ductless air conditioners are a brilliant invention. They are affordable to install and economical to run. They are small and compact. They keep rooms wonderfully cool. They can also be tag-teamed using a zoning system to provide temperature control in add-on spaces. Best of all, a ductless A/C unit can do everything your central A/C unit can do and can beat the performance of the traditional window unit with one arm tied behind its back. It can adjust temperature and humidity. It can provide ventilation and air filtration even if you are not running it as an air conditioner or as a heater. And it can run well for years with only annual maintenance and safety checks. Speaking of which, one thing that all HVAC units need to reach their efficiency and economical peak performance is at least a once-annual maintenance and safety check. You can skimp on this or even skip it entirely, but in time your energy bill and indoor air quality will begin to speak for itself about the neglect. During an annual maintenance and safety check, your technician will do the small things that need doing now to prevent big outages from occurring later on. For instance, your technician will lubricate, clean, and (if need be and upon your approval) repair or replace worn or broken parts. Your technician will examine power sources and connections leading to and from your HVAC unit to ensure they are clean and secure for your family’s safety. Your technician will do a thermostat test to verify that the air output from your A/C unit is a match for the temperature you set on your thermostat. Finally, if you desire, your technician can offer tips to improve your system’s efficiency and help lower your energy bills. For your convenience, we offer a number of protection plans that include reminders to have this important annual maintenance and safety check service performed. Our clients love these plans because they include extra guarantees like a cap on the expense of a major unexpected repair and no overtime charges. If you decide to wait until fall to have your annual HVAC service done, don’t forget that we offer emergency repair service 24/7, 7 days a week, 365 days a year, nights, weekends, and holidays! We also service all makes and models of HVAC units. Midsummer is a great time of year to schedule your HVAC unit’s annual maintenance and safety check. Your A/C unit is working hard to keep you cool, and this little bit of extra TLC can ensure it keeps performing well for you for the remainder of the hot season. 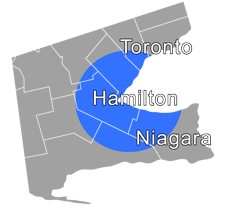 Give us a call at 905-549-4616 to schedule your consultation.